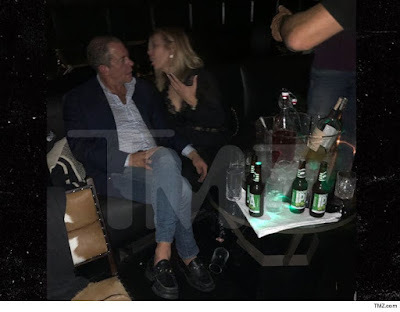 iRealHousewives | The 411 On American + International Real Housewives: Ramona Singer Spotted Kissing Aviva Drescher And Sonja Morgan’s Ex Harry Dubin — See Pics Here! Real Housewives of New York City star Ramona Singer was spotted kissing with Aviva Drescher and Sonja Morgan's ex Harry Dubin. The two were spotted locking lips around midnight on Friday at Pomona restaurant in Midtown, according to TMZ. Singer’s co-star Tinsley Mortimer was also reportedly in attendance. Dubin has been linked to a few RHONY ladies, including current cast members Sonja Morgan and Luann de Lesseps. He was previously married to former cast member Aviva Drescher, who appeared on the Bravo hit reality series during the show's fifth and sixth season. As we previously reported, after 27 years of marriage, Ramona filed for divorce from her husband Mario in January 2014 after he was caught having an affair with mistress Kasey Dexter. However, Mario dated Kasey until their split in January 2018. He hit her with an eviction notice on January 26, 2018 after he allegedly caught her cheating on him via a video footage from a hidden camera in their Florida home. The case is still open, according to Radar Online.